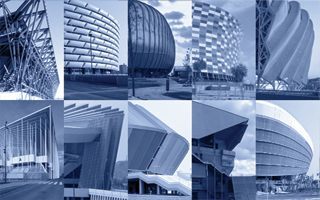 Announced for years, under design works from 2008 and then under construction from 2011. 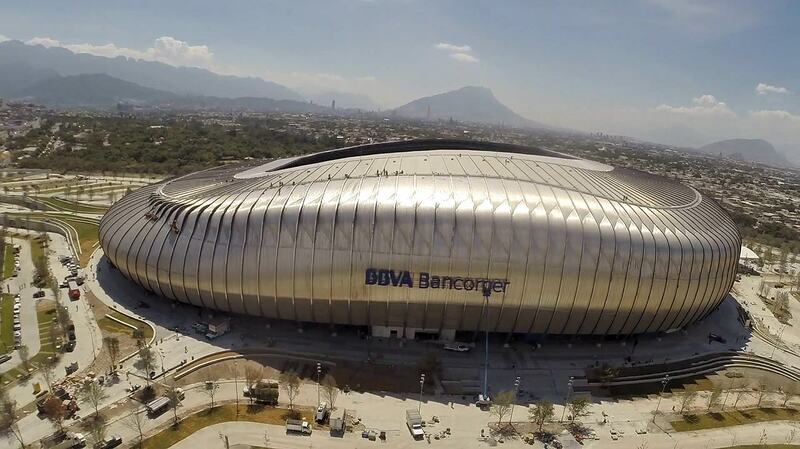 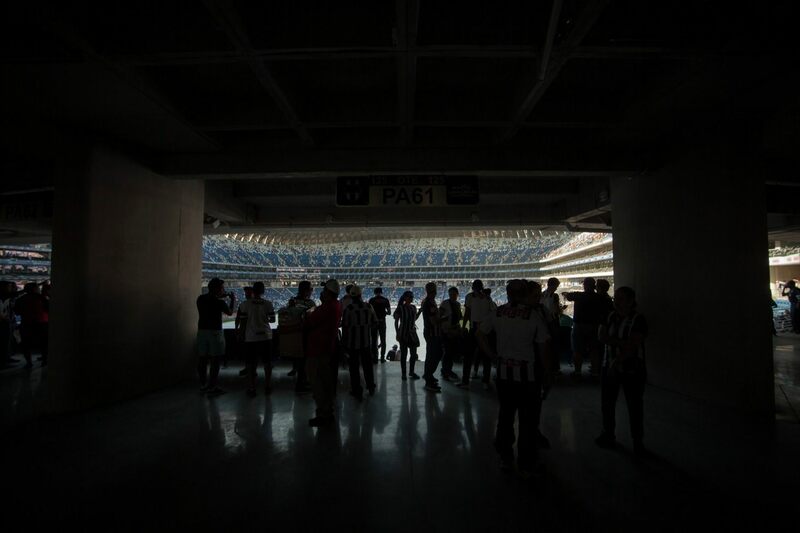 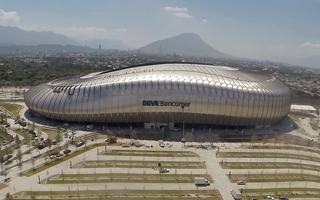 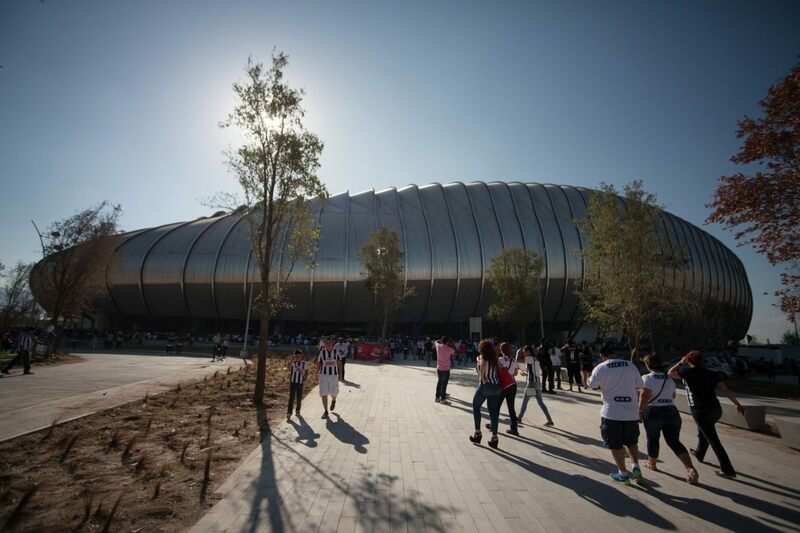 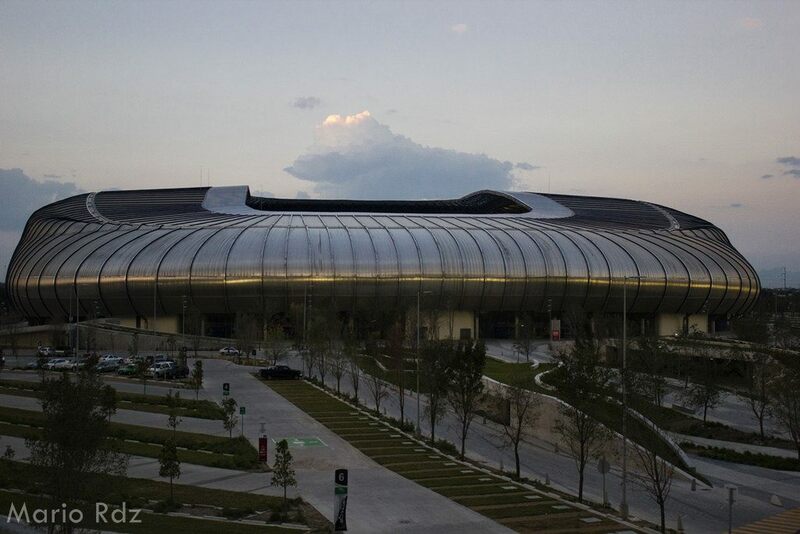 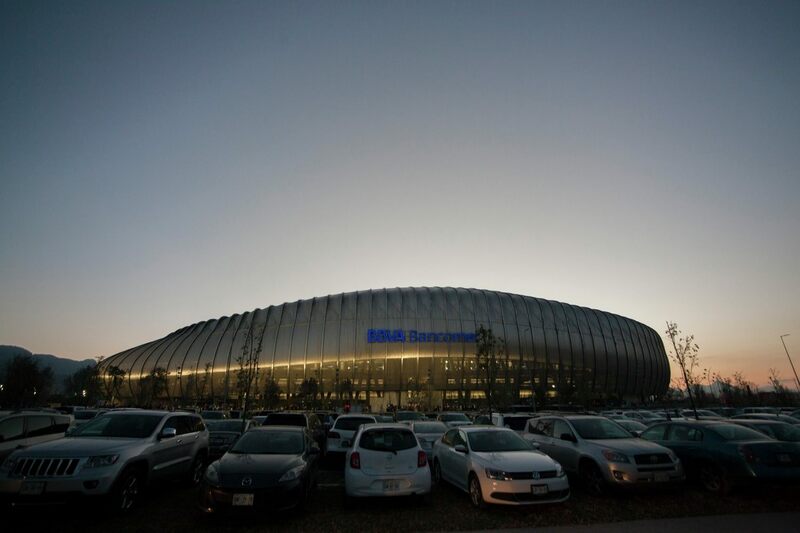 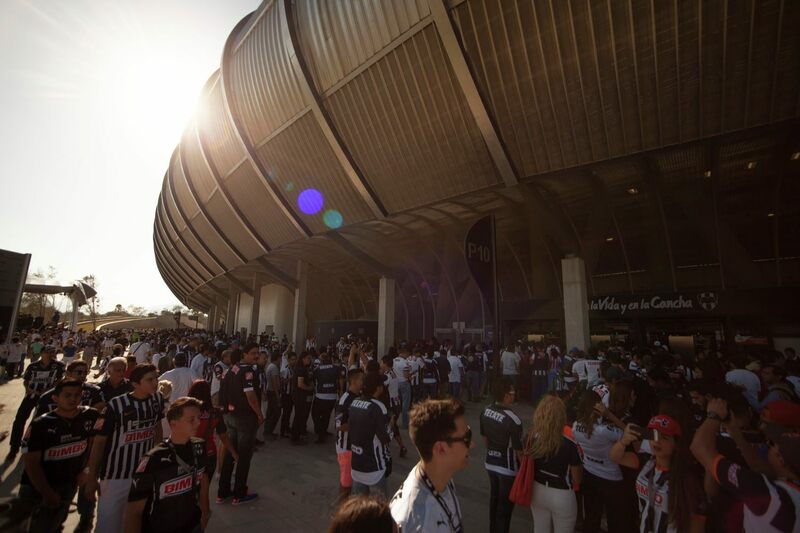 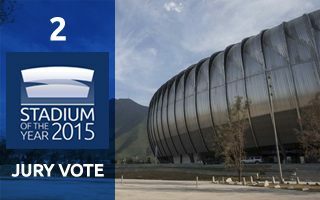 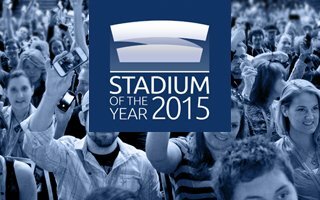 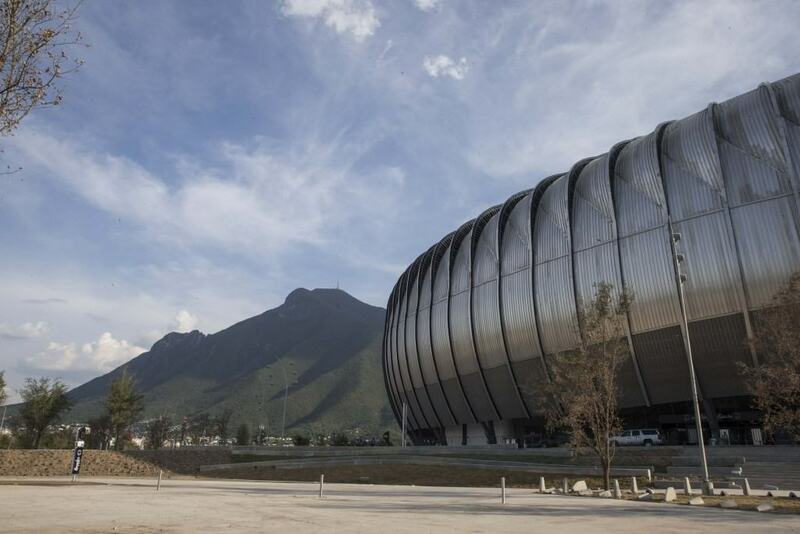 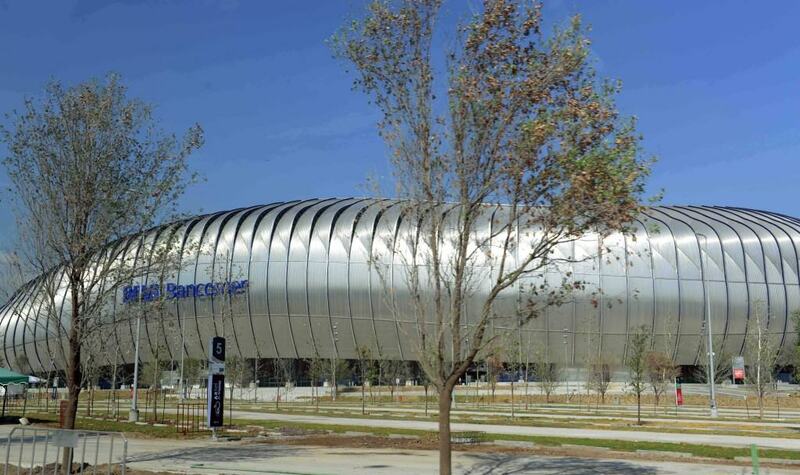 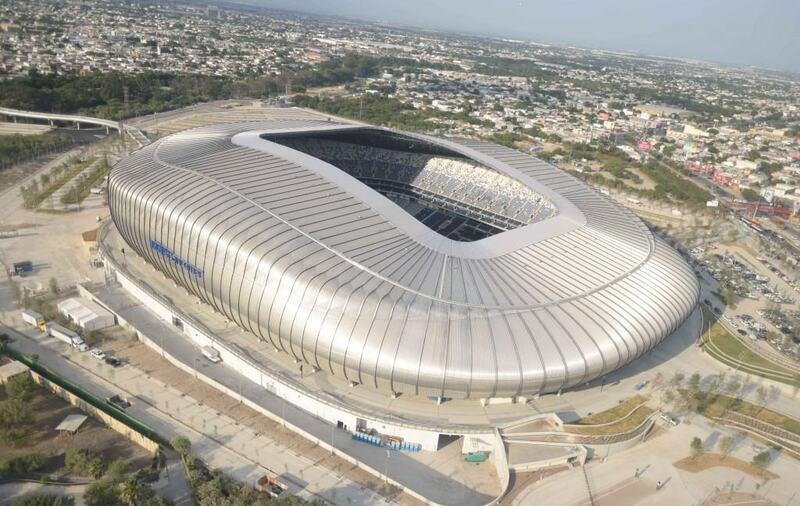 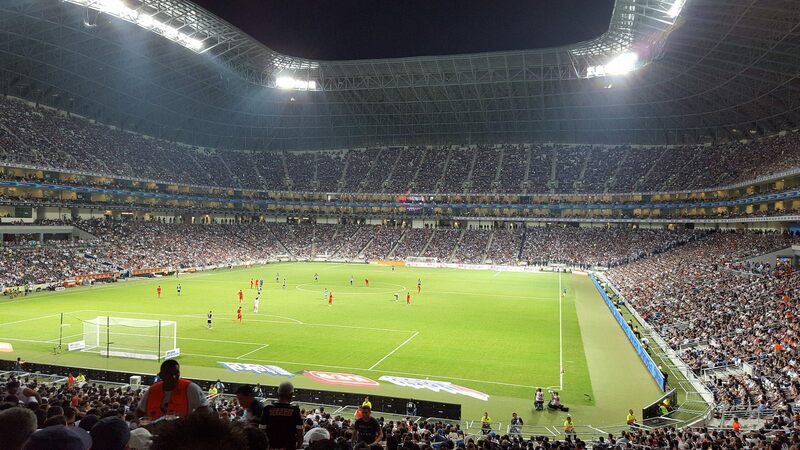 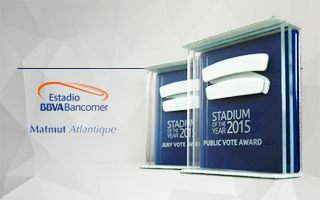 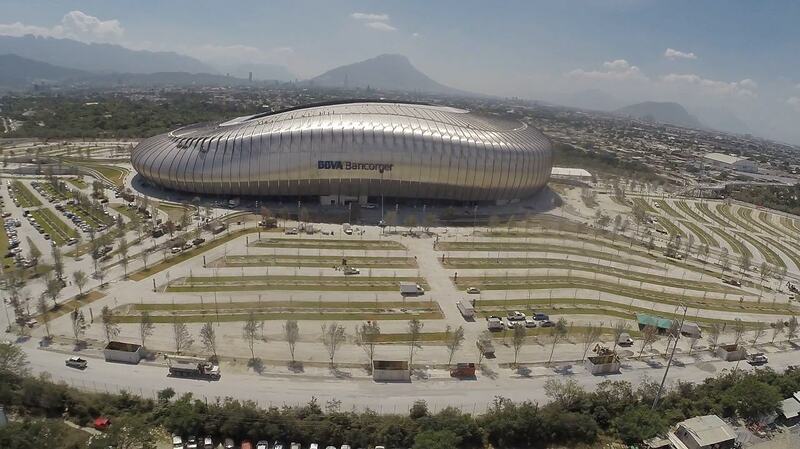 Then with delayed delivery date, this stadium tested the patience of CF Monterrey fans. 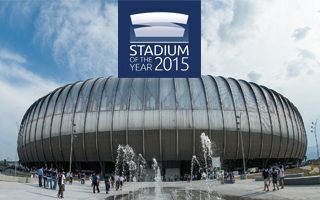 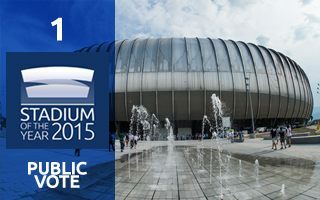 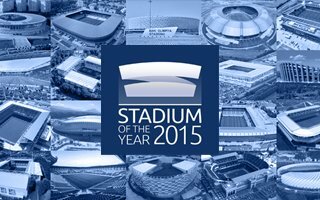 But eventually it got built just in time to celebrate the club’s 70th anniversary, by the end of July 2015. 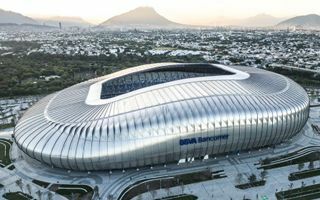 Estadio de Futbol de Monterrey or Estadio BBVA Bancomer, as it’s commercially known, is the largest and most modern stadium in Mexico built and operated entirely privately. 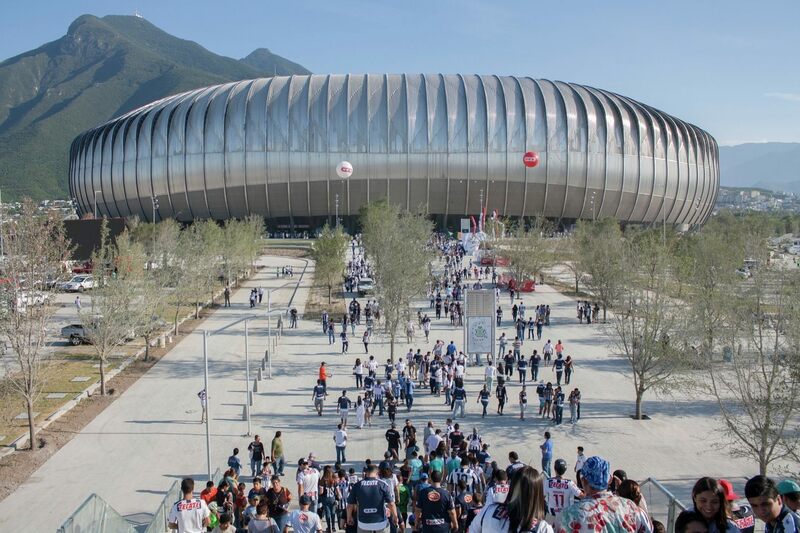 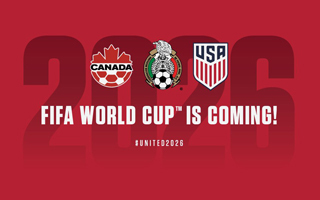 It’s the outcome of joint venture between CF Monterrey and beverage giant FEMSA, but since FEMSA also own CF Monterrey, it’s really their project. 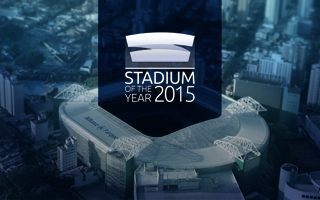 From start to finish declared price stood at $200 million. 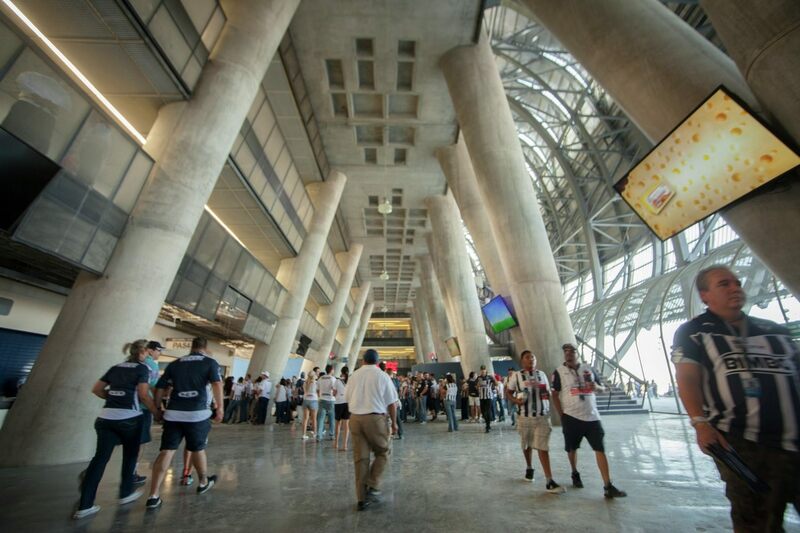 In the south there are only corporate hospitality facilities above the lower tier. 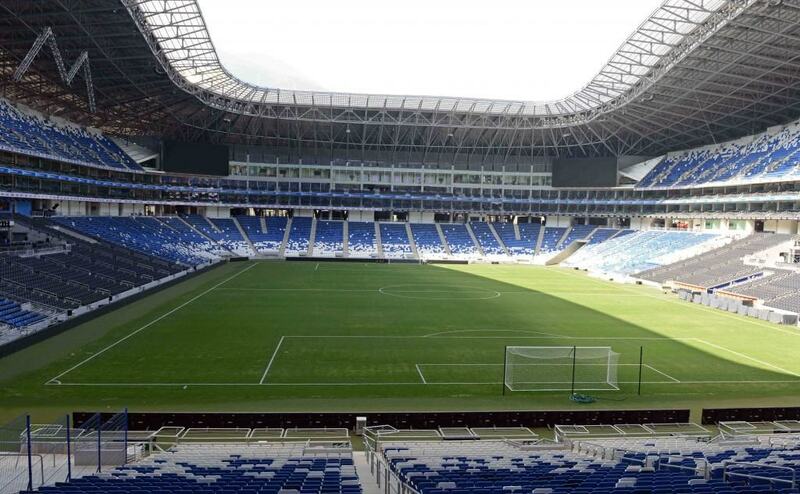 This is where the stadium’s height lowers to give other supporters a stunning view of Cerro de la Silla mountain. 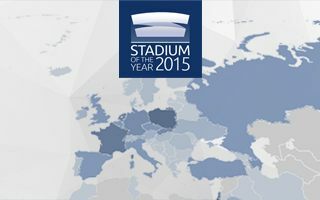 And while we’re at hospitality, Estadio BBVA offers 324 skyboxes (9-12 people), one of the highest percentages worldwide. 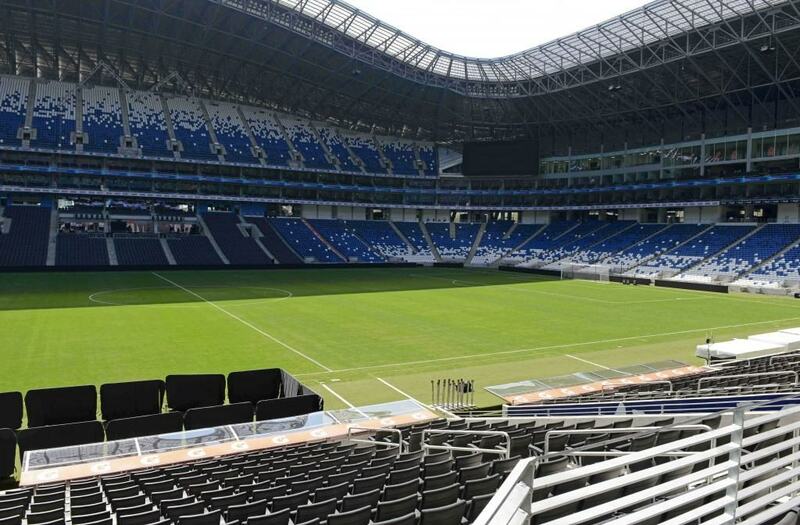 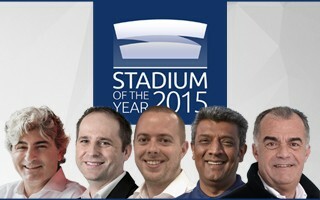 The boxes alone hold over 3,200 people, while further 4,500 business seats can be find in the lower tier seating. 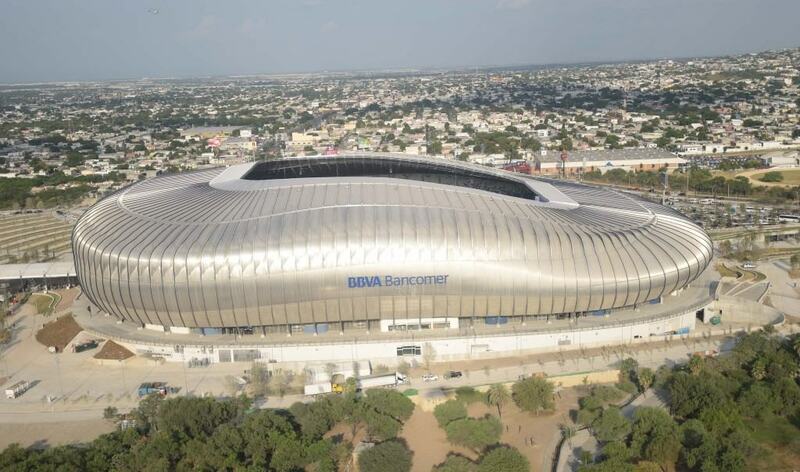 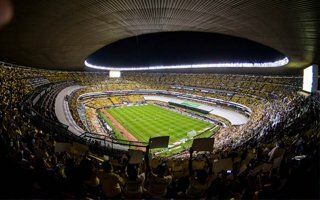 Chosen as Stadium of the Year just 2 years ago, one of Mexico's most modern stadiums has been dealing with a rather important issue: poor field quality. 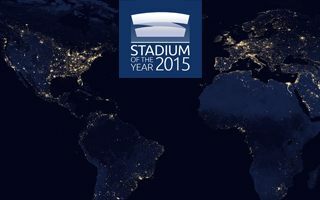 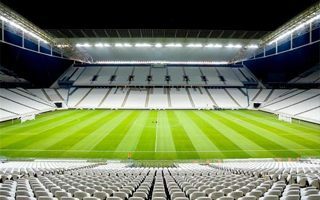 Recent visit from FIFA delegates suggests crucial improvements if the stadium is to hold the 2026 World Cup.